Das Apple MacBook 12“ 2016 ist eine runde Sache und überzeugt als mobiles Arbeitsgerät, das man dank der robusten Verarbeitung überall dabei haben kann. Positiv ist die längere Akkulaufzeit des MacBook 12“ 2016 gegenüber dem Vorjahresmodell. Bei der Leistung sind nach wie vor Abstriche zu machen: Für aufwendige 3D-Grafik, Videoschnitt und Rendering muss man sich nach einem anderen Gerät umschauen. Beim neuen Macbook hat sich gegenüber dem Vorjahresmodell kaum etwas geändert, es hat nur aktualisierte Hardware im Bauch. Etwas schneller ist es geworden, etwas ausdauernder. Ansonsten ist es dasselbe faszinierend dünne und leichte Laptop geblieben. Sein Bildschirm ist toll, die Tastatur gewöhnungsbedürftig. The updated MacBook packs more performance and battery life into a wonderfully thin and light design, but Apple didn't address the biggest drawbacks. As a Mac user of many years, the 12-inch Macbook definitely requires a compromise in the way I work. For example, my 15-inch Macbook Pro with Retina Display powers a two screen set up and the Macbook 2016 is incapable of doing that, especially as none of Apple’s official adapters currently offer DisplayPort functionality. Ironically, Google makes a USB Type-C to DisplayPort adapter that is perfect for this task, but with the limitations of a single port, the Macbook doesn’t stack up to my particular usage. 80% Apple MacBook (2016) review: Is port-free still the future? The 12-inch MacBook has divided opinion since day one, having done-away with a full-size USB port for the smaller USB Type-C. A couple of years down the line and this will be a more standard format, but the bigger issue is the MacBook's persistence to offer just one of these ports for both charging and connectivity. If you're a casual or cloud-based user that won't be a big issue though. Just as we said of the first iteration: the 12-inch MacBook is all about portability; it's a laptop so thin, so sleek, so light, that everything else has been pushed by the wayside. The 2016 MacBook is certainly an improvement over its predecessor. It's significantly faster, especially if you opt for the Core m5 model, and it lasts an hour longer on a charge, all while being extremely portable. I also continue to love the Retina display and don't really mind the flat butterfly keyboard. I'll be sticking with my first-gen MacBook, then, though that's not going to stop me recommending it to those who travel frequently, have mainstream needs for processing, and who are willing to pay a premium for OS X on a notebook that's still a relatively rare sight in the wild. Apple doesn't expect it to be the Mac for every user: that's why it's not the only Mac. Just make sure you're going into it with your eyes wide open. The 12in Retina MacBook isn’t for everyone. If you value portability and battery life above all and predominately use wireless peripherals as well as cloud apps and storage, then this MacBook will be a great fit. 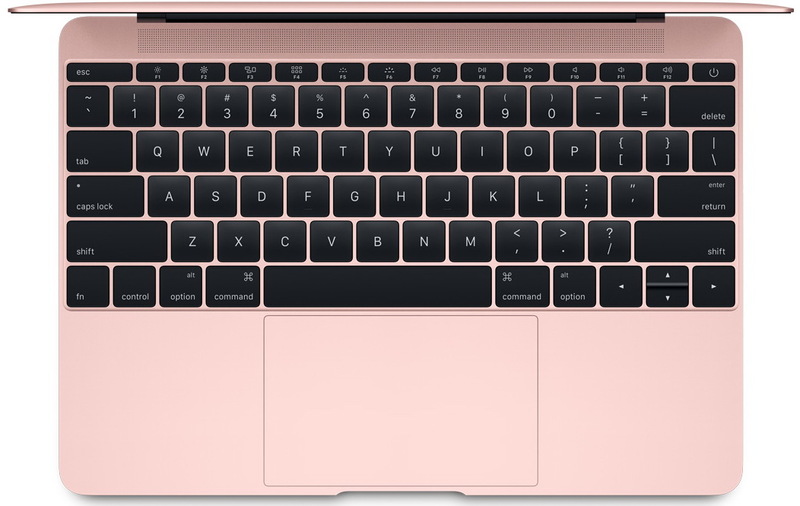 If you use lots of demanding applications, need to connect lots of wired peripherals or just can’t get on with the low-travel keyboard, then one of Apple’s more conventional MacBooks will be a better choice. Apple deserves credit for improving the MacBook's battery life and disk speeds, but other than that, this is, for better and worse, the same machine as last year's model. If you previously shied away from the 12-inch MacBook because of the "one port" thing, this still isn't the laptop for you. In hands-on use, the new MacBook feels almost exactly like the previous version. If you've got the 2015 MacBook, there's no need to upgrade, but if you were holding off to see what the second generation looked like, the potential boost to performance and battery life makes me feel even more confident about using this as primary laptop, especially for frequent travelers. Positive: Slim size; good hardware; nice performance; long battery life. Negative: Relatively high price. Positive: Quite noticeably increased productivity; good enough for common tasks; compact size. Negative: Outdated design; relatively slow SSD. Positive: Density; good keyboard and trackpad; good display; good autonomy. Negative: Weak performance; poor connectivity; expensive. Serie: Das Apple MacBook 12 ist ein Macbook mit 12-Zoll-Bildschirm für Produktivität unterwegs, das mit bis zu einem 1,2 GHz Intel Core m5 Dual-Core-Prozessor (Turbo Boost bis zu 2,7 GHz) mit 4 MB L3-Cache, Intel HD Graphics 515, 8 GB 1866 MHz LPDDR3 RAM, 512 GB PCIe Flashspeicher ausgestattet ist. Sein einzigartiger 12-Zoll großer Retina-Bildschirm mit LED-Hintergrundlicht und IPS-Technologie liefert scharfe und hochauflösende Bilder. Der Bildschirm verfügt über eine Auflösung von 2304 x 1440 Pixeln und eine Pixeldichte von 226 PPI. Das Apple Macbook 12 läuft unter Apples neuestem Betriebssystem, nämlich Apple El Capitan OSX 10.11.4. Es verfügt über eine Chiclet-Tastatur in voller Größe mit LED-Hintergrundlicht, welche 12 Funktionstasten, 4 Pfeiltasten und einen Umgebungslicht-Sensor bietet. Mit nur 0,92 kg ist das Gerät wirklich leicht und für Reisende geeignet. Für Multimedia-Verwendung ist das Apple Macbook 12 mit einer 480p FaceTime Kamera, Stereo-Lautsprechern, Dual-Mikrofonen und einer 3,5-mm-Audiobuchse ausgestattet. Zur Schnittstellenausstattung gehören ein USB-C-Port mit Lade-Funktion, USB 3.1 Gen 1 (bis zu 5 Gb/s Übertragungsrate) und ein nativer DisplayPort 1.2 Videoausgang. 77.9%: Weltbewegend ist diese Bewertung nicht. Obwohl es bei den meisten Websites einem "Befriedigend" entspricht, muss man bedenken, dass es kaum Notebooks gibt, die unter 60% erhalten. Verbalbewertungen in diesem Bereich klingen oft nicht schlecht, sind aber oft verklausulierte Euphemismen. Dieses Notebook wird von den Testern eigentlich als unterdurchschnittlich angesehen, eine Kaufempfehlung kann man nur mit viel Wohlwollen darin sehen.